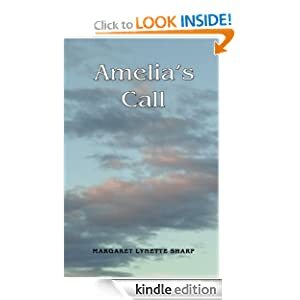 My thanks to Goodreads reviewer Mark for providing this review of my first novella, ‘Amelia’s Call’. This is a powerful, page-turning, first-person narrative about naïveté and denial, disabuse and empowerment and the changing perception of the meaning of marriage — and the “motive and the cue” for relationships. Sharp offers a multi-faceted perspective that will appeal both to social liberals and feminists who cannot abide the presumption of patriarchal dominance (which would include this reviewer), and those to whom the sanctity of a commitment is still important (which would also include this reviewer). None of her characters is flat or unidimensional, though. Some are strong, confident and well-intentioned, but not controlling. Others are weak and insecure, but not malevolent. Only the mother-in-law comes across as manipulative and loathsome, but her plight, too, is human and comprehensible. There is neither absolutism of fidelity nor wholly unmotivated cheating, but in husband and wife both, some impulse to develop into the people they fundamentally are, but have been derailed from becoming. For the husband, we might think, this is the sadder outcome. However one takes it, the conclusion is satisfying. No unhappy endings. Five stars.